Food One/Jim Mahfood Art: Pre-Order TANK #2! 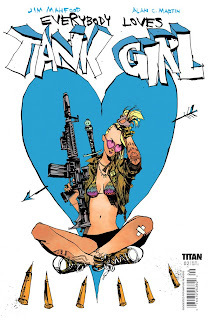 There's still time to pre-order issue #2 of EVERYBODY LOVES TANK GIRL, out August 15th! For those who ask how to get hold of new TG comics - either Google and find an online dealer in your country OR get down to your local comic shop and pre-order yourself a copy HERE! TANK #2 In One Week! Street Fighter Art Show Tonight!